To read the lectionary portion of Hebrew scripture for Epiphany 3B (Jonah 3:1-10) is to read the story of faithful people (or at least person) of God who follows God's direction, preaches God's word and converts an entire city to God, causing much rejoicing (remember how happy God is to save the one lost sheep...well, imagine saving a whole city that took four days to walk across!). Obedience, proclamation, results. A positive story, indeed. Positive? Yes. Makes God look good? Yes. Makes Jonah look good? Yes. Makes the Ninevites look good? Yes. Tells the whole story? Not by a long shot. Because in the story of Jonah there are two places where people are showing themselves to be working against God's will. One is the people of Nineveh. It isn't hard to discover why Jonah and the people of Israel hated the Ninevites. The stories of Assyrian rulers Sargon and Sennacharib, and others in between, are well-documented historically. The Assyrian army made a habit of invading and conquering their neighbors. God has heard of their wickedness and wants to send a representative to call them back to God's way. It's easy to see how the Ninevites are working against God. But there is another person who is obviously working in opposition to God's plan. And that is Jonah. The prophet, the title character of the story, works against God's will. Not just once but several times. In fact, the hated Ninevites repent faster and, at least here, more fully, than God's own agent. It's a good reminder for those of us who call ourselves people of God. Our actions and choices aren't in a bubble of goodness. We are just as likely as any other people to act in ways that oppose God. And those are the times when God calls back the people of God with as much devotion and intensity as God seeks those we might think of as lost. God appointed a great (גָּד֔וֹל) fish (דָּ֣ג) to call Jonah back. Thus began one of the world's biggest fish stories. 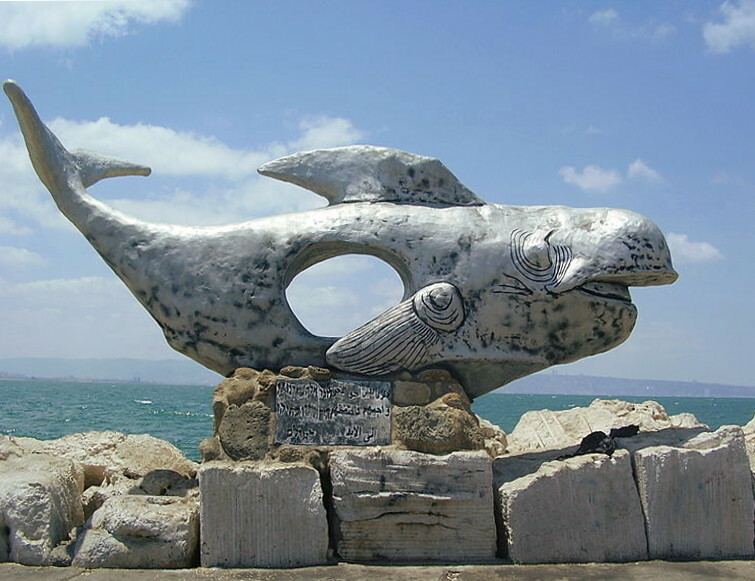 On the sea wall of the Old City of Acre (Akko), Israel, is a sculpture in the form of a whale. The sculpture is a memorial to those who have lost their lives at sea or, as the inscription says, those who remained in the lap of the sea. It is not meant to be a depiction of the Jonah story, but the hole in the middle of the whale - large enough for people to crawl in - may remind us of Jonah's time in the belly of the fish. From there he prayed to God for deliverance, concluding with the promise, "What I have vowed, I will pay" (Jonah 2:9b). And to be fair, Jonah does pay his vow. Though he doesn't appear to have really learned the truth of God's love for the people of Nineveh - even at the end of the story. How easily we can become Jonah, turning away from God's call to work for the welfare of people we don't want to like. How easily we make vows to obey God, promising to be God's people, yet how often we, as God's people, are more willing to claim that as a position of privilege rather than service. The fact that God calls for our obedience rather our approval can be a hitch in our plans. There's always a catch. So goes the suspicious aphorism. But in this story, the "catch" is Jonah. He is caught, grasped by God (via an appointed fish), stopping a continuing descent that began when the prophet decided to run from God. We need to remember that when necessary, God can find a fish belly or some specifically-tailored parallel for each of us. Because just as God wanted the Ninevites to repent, so, too, God wants us to come back, to trust God, to work for God's will rather than for our own. For thoughts on the disciples and their nets (Gospel reading/Mark 1:14-20), click here. 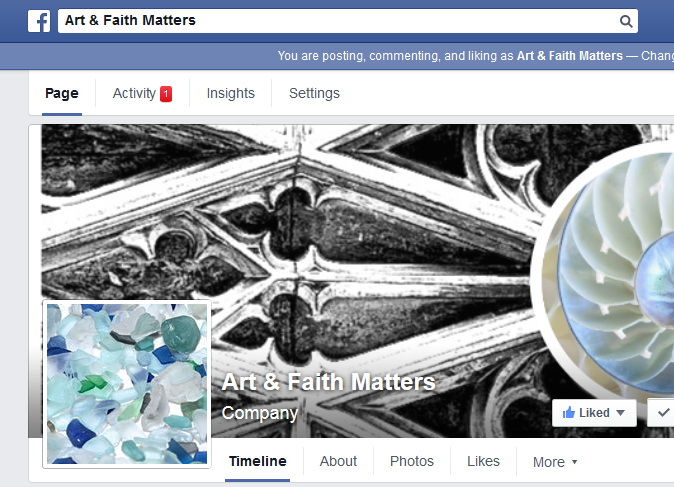 On Facebook this week, see how early Christians used the Jonah story.